Often described as the greatest contemporary Romanian poet, Nichita Stănescu, “blasted open the prison gates of Socialist realism” (Andrei Codrescu) in Eastern Europe. In celebration of the publication of Wheel with a Single Spoke and Other Poems, translated by Sean Cotter, this evening celebrates a powerful and visionary poet. Nichita Stănescu (1933-1983) was the most beloved and groundbreaking Romanian poet of the twentieth century. Stănescu transformed Soviet-style aesthetics from within, infusing the tangible world with a metaphysical vocabulary all his own. He received the Herder Prize in 1975 and was nominated for the Nobel Prize in 1979. Wheel with a Single Spoke and Other Poems is his first book-length work to be translated into English, and has just been published by Archipelago Books. Sean Cotter is Associate Professor of Literature and Literary Translation at the University of Texas at Dallas, Center for Translation Studies. His translations from Romanian include Wheel with a Single Spoke and Other Poems (2012) and Lightwall (2009), which won the PEN Southwest Book Award for Translation. He is a former National Endowment for the Arts Translation Fellow. Vasile Flutur earned his MA in Acting from the National University of Theater and Film in Bucharest, Romania. He has appeared in the shorts A Woman in the Sun, In the Forest and When Men Truly Become Free, and has translated plays by Harold Pinter, Noël Coward, Sam Shepard and John Patrick Shanley into Romanian. Saviana Stănescu Condeescu is an award-winning Romanian-American poet, playwright and journalist. 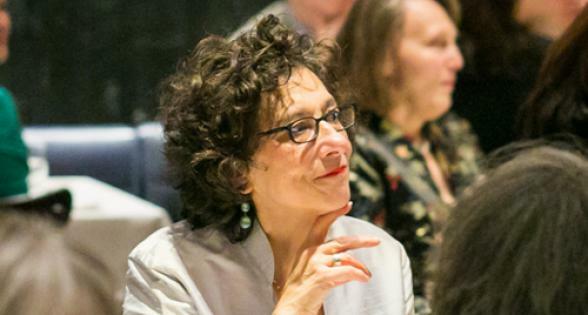 She is currently the NYSCA playwright-in-residence for Women’s Project, writer-in-residence of East Coast Artists, and Director of the New Drama Program for the Romanian Cultural Institute in New York. She is Assistant Professor in the Department of Theater Arts in Ithaca College.